The stage is set for the child star we all grew up to love so many years ago. 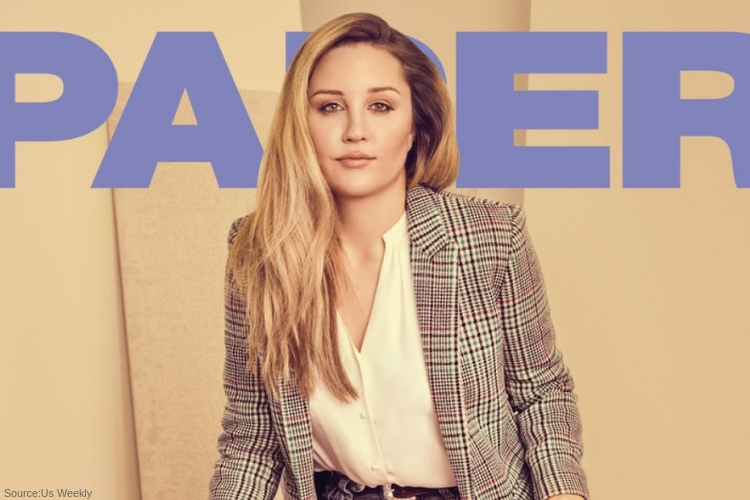 Amanda Bynes is taking center stage as she is on the cover of Paper magazine. Their winter cover published Monday reveals the mature Bynes wearing jeans and a blazer; several other pages of the spread featured her in high-fashion tops creating a very sophisticated look. The fresh images are a 180 compared to Bynes’ crazy 20s. Many years filled with rebellious tweeting and frantic public appearances. She suffered from a public break down just like many child stars before her. Bynes now 32, was placed into an involuntary Psychiatric hold and quickly after admitted to a treatment facility under medical experts supervision. Bynes’ mother was then granted conservatorship over her. Since her meltdown, she has quit acting, been sober and spent the last couple years studying fashion at the F.I.D.M. ( Los Angeles’ Fashion Institute of Design & Merchandising.) thanks to her openness about her destructive past she digging deep into how it really affected her. However the popular “study” drug Adderall crept every so sweetly into her life while she was filming “Hairspray,” she recalls reading an article that referred the Adderall as the ‘the skinny pill’ and talked about how women were taking it to stay thin. Immediately thinking, “ Well, I have to get my hands on this,” Amanda faked having ADD and landed a Prescription from a medical expert know as a Psychiatrist. Her embarrassment over her infamous Twitter rants is felt through reading her interview, although she expresses how she will not dwell on them. She has hopes of acting again sometime in the near future.